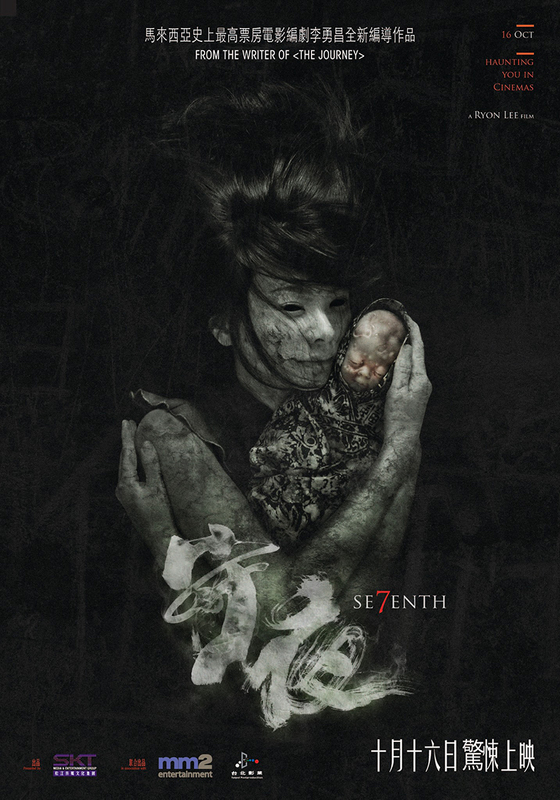 “Seventh (守夜) is a funny, scary and touching movie.” Is this even possible? When I first describe to my friend after watching this movie without trying to spoil the story, that was the first thing that came to my mind. You will know it when you catch a film and see that the director/script writer tries too hard to cater to the mass with so many different genre. But here, surprising, it managed to amuse me, scare me and touched me (Yes, I cried) within the short timespan of 99 minutes. 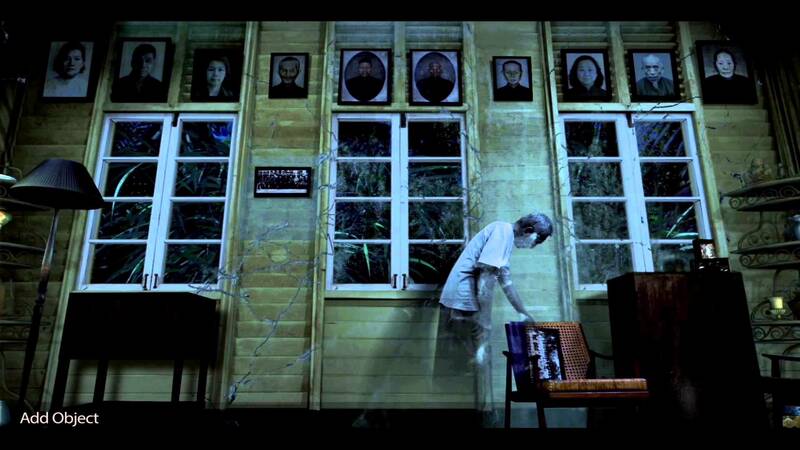 I’m actually quite impressed that this is a Malaysian film. Not that I’m looking down on local films, but many films are restricted by low budget (P.S. Even high budget films might not be good!). 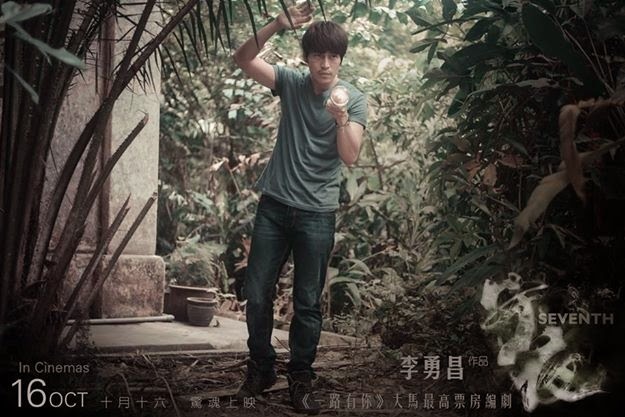 To have a team of cast from Taiwan, Singapore and Malaysia, it is not easy to Not sound out of place when the film has so much Malaysian colloquial language. A friend of mine did not really catch some of the jokes when they were in dialect, but if you get it, you will love it. I’m not a person who is easily amused, but this film really got me laughing a lot. 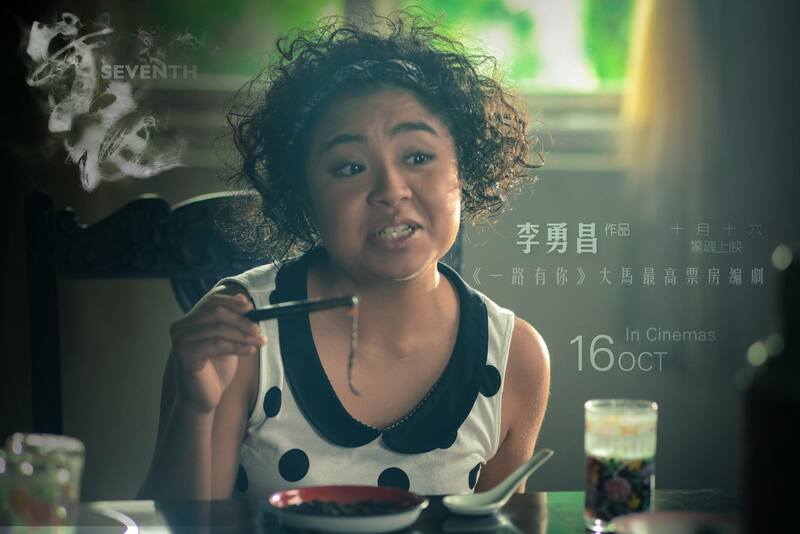 If there’s anything to fault about the film, it will be exaggerated special effects when Ah Ying (Mindee) turned into her true self. But regardless, it’s still better than “The White Hair Witch of Lunar Kingdom” (白发魔女传之明月天国). Gino’s performance surprised me. 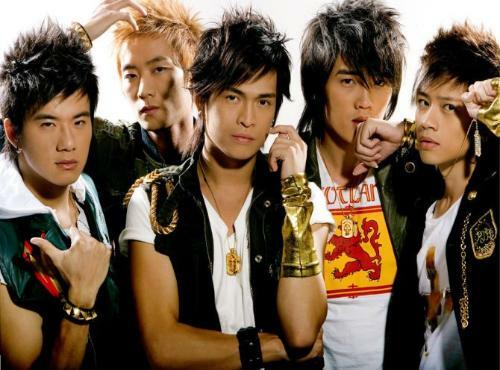 I mean, I knew he was from Taiwan boyband K One, but I was never crazy about him. His roles in “Prince Turn Frog” (王子变青蛙) and beauties of the Emperor (王的女人) was pretty good, but often overshadowed by the main lead. In my memory, he was the good looking badass who walk with a swag, and this time, it’s no exception. My first thought when the film started was, OK, so is he going to be the good badass again? I like his performance this time round as his character has a lot of inner conflict and his role is a huge contrast to the other two counterparts who took care of the comedy portion. I love the performance of Kim as Mimi, the super irritating, Super sarcastic and SUPER Hilarious girl who spoke like a machine gun in this film. Her pairing with Da Pao (acted by Teddy) was superb. Their chemistry was so good that my jaw dropped as they “shoot” at one another. This is a story with a lot of subtle points that doesn’t make sense initially, but you will get the sense of revelation as the story unfold. I had to applaud for its ability to catch me unguarded (given that I regard myself as someone who noticed intrinsic details easily). So this is definitely a film I will recommend people to watch, if you are wondering how good is the “Good” I’m saying, it’s the type I will want to catch more than once! Unlike his character in the show, Gino was quite timid. He was scared of cold, scared of bugs, scared of dark, and scared of ghost. The kiss was not in the script and Gino requested for it so as to show how much the character loved Ah Ying. It was Mindee’s first on-screen kiss and she was having a cough on that day during filming. As they were hanging in the air during the kiss scene, she coughed into Gino’s mouth and asked him to take more vitamin C after that! 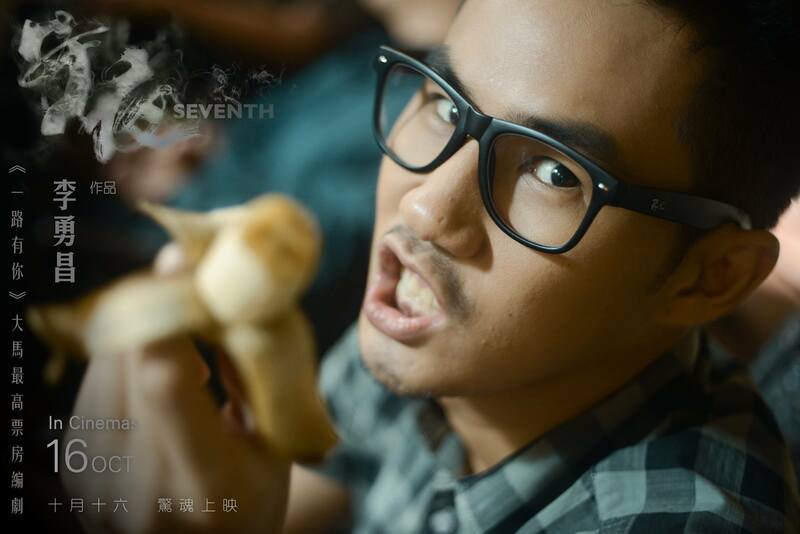 Check out Seventh (守夜) Facebook Page! 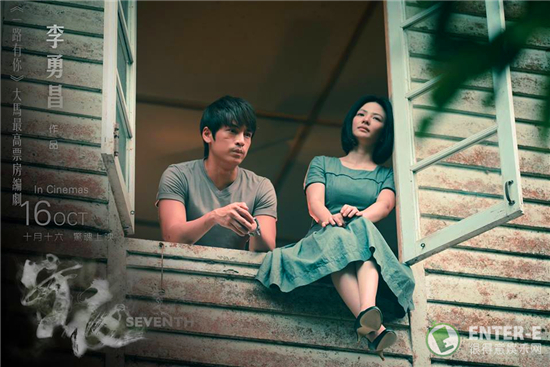 Seventh (守夜) is out in Shaw cinemas on 6 November 2014. Sounds like a great movie! My wife is a horror fan movie. To be honest scary movies freak me out! Lol! I think it’s the old age! But I like that they added comedy! I’m not fond of scary movies since watching The Ring LOL. But this appear to be different as they injected comedy as well. I think it’s a growing trend now where other Asian actors and musicians get to act in a different asian country’s film. I notice that too in the Philippines. Oh man this sounds terrifying, I think I’ll stick to my Disney Musicals and How I Met Your Mother marathons. I’d love to see the movie even though I’m not a fan of scary flicks. This one sounds like fun and a tad smarter than some in the horror genre. Btw, I love K One’s music. It’s nice to see a movie that can be funny and scary. It looks like a really unique movie which you can enjoy. The movie poster is very intriguing. If I saw this in our cinemas, I’d definitely watch it. I love horror movies and those movies that has stories that unfold before the ending. I hope they play this film here!i was a huge fan of K One many years ago, so it’s nice to know that Gino is still good with his acting. Interesting story! A movie which is both funny and scary is definitely something different! Seems like a nice movie to watch. And oh, did I say I am a fan of horror movies too? This is a catch. Nice review of this movie – Seventh, never heard this movie but it seems good similar to Pinoy movie style.